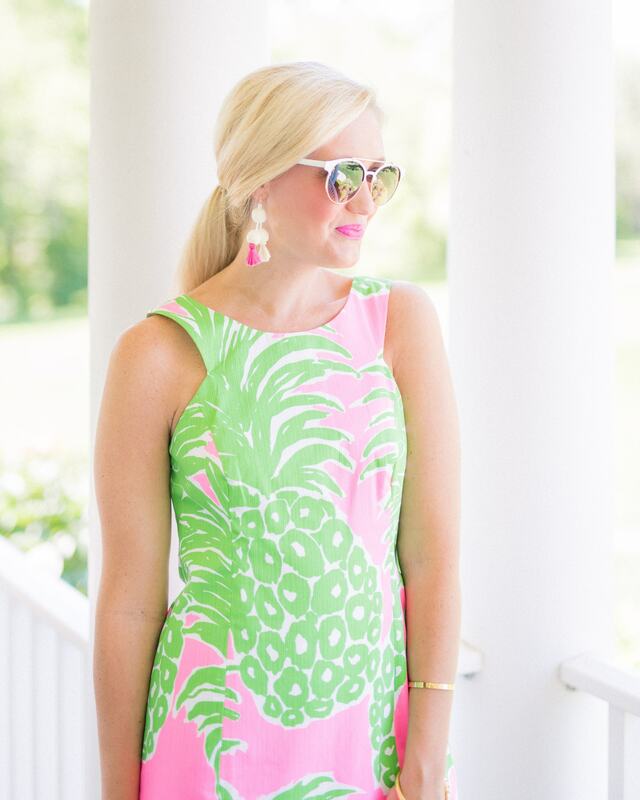 I am SO ready for summer in this pretty pineapple shift dress from Lilly Pulitzer. I scored this last summer half price when they were having their summer sale! I’ll keep y’all updated about the sale this year! In the meantime, I’ve linked some of my favorite pieces from their current collection. How cute is that pink and green two piece set?! Definitely on my wish list! 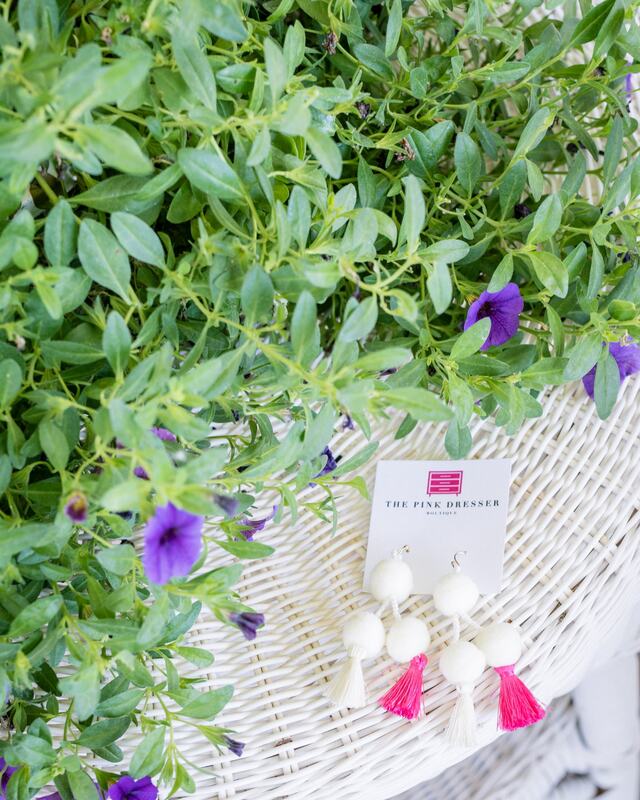 I paired this dress with these ADORABLE pom pom and tassel earrings from THE PINK DRESSER BOUTIQUE.This boutique is based out of Rockwall, Texas, but you can shop all their amazing pieces online at thepinkdresser.com. They have a wide range of trendy fashion and accessories at affordable prices! These earrings are only $15, and you can receive an additional 20% off using code "brooke20" on your online purchase! 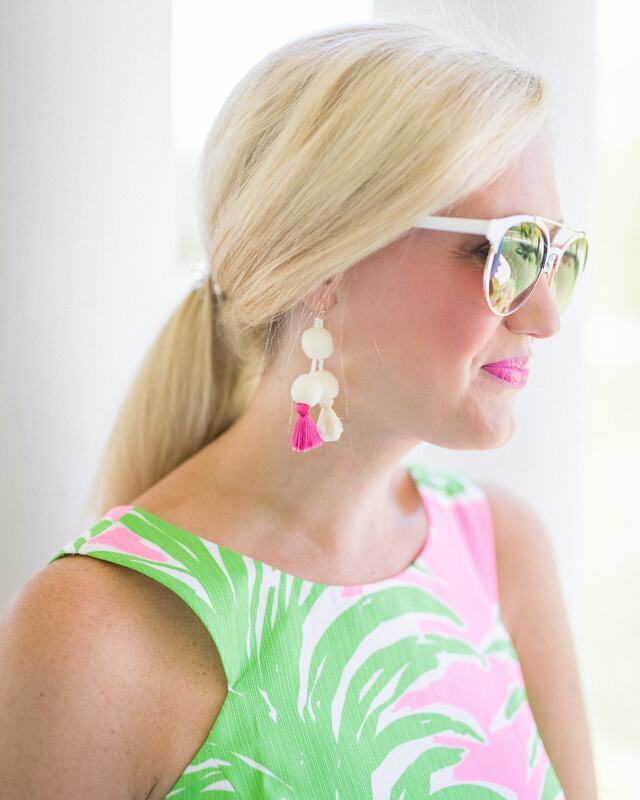 I’ve linked my earrings and a few of my other favorite items from their boutique below!